That was a short layoff. Just a week after laying off 12 firefighters, the city has called all of them back. That’s because the city was awarded the federal SAFER (Staffing for Adequate Fire & Emergency Response) grant that will pay for the salaries of firefighters for two years. Firefighters had claimed the grant was worth $3.1 million, but they failed to realize that was the maximum amount that could be awarded. Acting City Manager Kyle Tertzag said the grant only covers the city’s actual cost, which is closer to $2.25 million. No matter, the grant will go a long way in reducing the city’s projected $3.5 million budget deficit by next summer. But Tertzag told The Review that there is one catch: The grant is not handed out in one lump sum. Instead, the city will get reimbursed for each of its payrolls to the firefighters. The delay in reimbursement could be as long as a week, but possibly much shorter. That means the city has to have cash on hand to meet payroll, which may become a problem by January or February. Tertzag said the city is projected to run out of money on hand by then. There had been talk among city officials to not accept the grant in order to force firefighters to accept contract concessions. Firefighters and city officials appear to be far apart on what each side will accept. Not everyone on city council was on board with the grant. At a special meeting on Monday, three councilmembers, Robert Zwolak, Mohammed Hassan and Abdul Algazali, voted against it. That forced Mayor Karen Majewski to break the 3-3 tie by voting for the grant. Zwolak said he opposed accepting the grant because he and his council colleagues had an agreement to not accept the grant unless firefighters agreed to contract concessions. “That’s what we agreed to do,” he said. Zwolak noted that the council had 30 days to decide whether to take the grant, which he stressed gave the city “wiggle room” to negotiate a deal with the firefighters. Even with the grant, Zwolak said, the city will still run a $1 million budget deficit. Algazali did not return a call for comment. Ha! i was right! they did lay them off just to qualify for the grant and switch the payroll to the federal govt! interesting tactic, it works for us this is true but at what cost of values? also to Hassan: just because it will only last for 2 years doesn’t mean we should vote against it! what if you were starving and someone said they would pay for your meals for a week, would you turn it down because you dont know what you’ll do after that week? of course not. Its so obvious that Hassan and Algazali don’t care about public safety in the city. Hassan can’t even speak understandable english let alone understand how a city is supposed to function. Algazali has a blatant disregard for city functions as well. Just look at how many meetings he has missed. 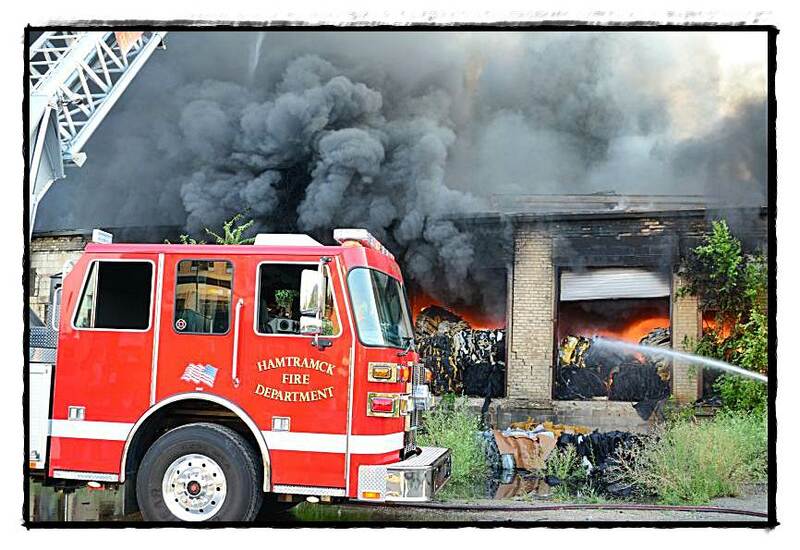 As somebody that grew up in the city of Hamtramck and see how things are run now….I really feel sorry for the current residents. @ roger lamm: the city qualified for the grant and was already pretty certain they were going receive it before these layoffs. This was the city trying force the fire union to accept more concessions than they wanted to after being the only union to take conecessions a few years ago. Instead they ended up buying the time of the 12 firefighters due to the lay off causing the city to go further into (potential) debt. is time for tide belt so cut salaries for all city employee, firefighters and police why not they making to much , nobody making same money like in old good time, or emergency manager welcome.